Detail : Paul's twenty-second solo single. 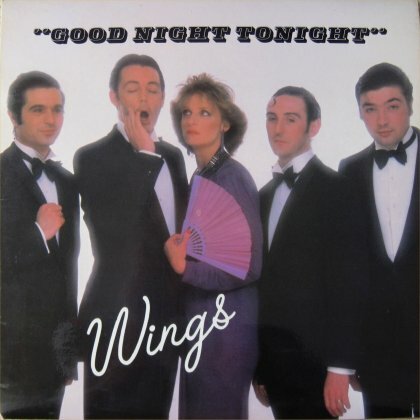 This incarnation featuring : Paul, Linda, Denny Laine, and newchaps - Lawrence Juber and Steve Holly. 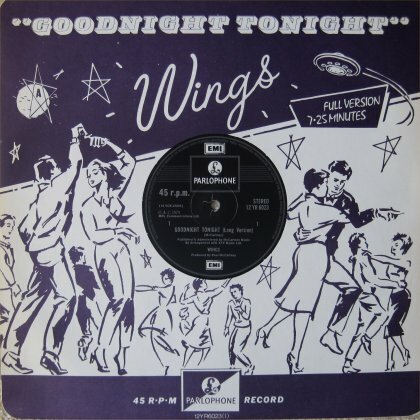 This single was the first release for the 7th formation of Wings. 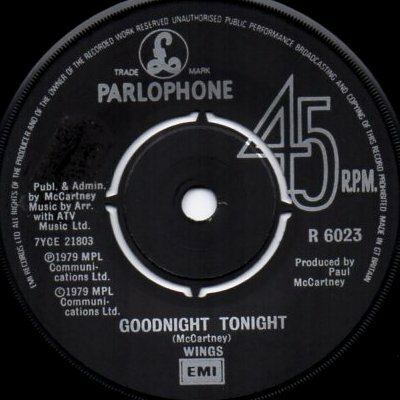 The first release of a Paul McCartney record to actually be on the Parlophone label. 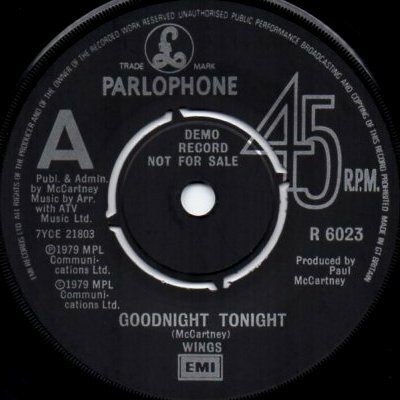 this was the first record to actually have a Parlophone logo. The first U.K. release for Paul of a 12" single. The single version of the A-side is 4 minutes 15 seconds, whereas the 12" is an extended mix running to 7:14. The B-side was the same on both formats. The 12" also has a good quality picture cover with a specially printed old Parlophone style cardboard inner sleeve (all pictured above). The 7" single includes, "HELLO TOM 1979" on the run-out groove. I also have a demo version of this one, as shown above.